1. 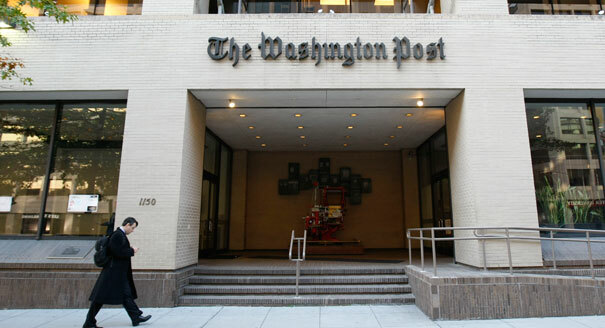 ‘Washington Post’ Staff Reacts to Jeff Bezos’ First Visit to Newsroom. Jeff Bezos paid his first visit to The Washington Post newsroom last Tuesday afternoon; many staffers live-tweeted the visit and offered a mix of reactions. 2. Actually, Recruiting Is Not HR Anymore. Recruitment, widely referred to as talent acquisition, has evolved into a standalone business function. 4. Do Striking Walmart Workers Have the Power to Make Shareholders Divest? [Video] More than 100 Walmart workers and activists were arrested in a mass protest across 15 US cities last week, causing some to wonder if the retailer’s bottom line could soon be impacted. 5. VW And Its Workers Explore Union At Tennessee Plant. Volkswagen is working with the United Automobile Workers at its on how to unionize the plant and create a German-style works council there.